Man, it’s good to have him back. 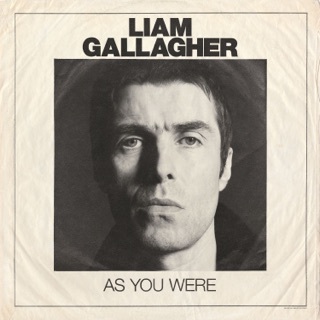 Aided by some cannily recruited collaborators (Greg Kurstin, Andrew Wyatt), this debut solo album gives us the Liam Gallagher we want: impassioned and piloting rock ‘n’ roll high on attitude and skyscraping choruses. Lusty opener and comeback single “Wall of Glass” sets a robust pace, but “Greedy Soul,” “You Better Run,” and “I Get By” all light glorious fires for that voice to pour gasoline over. Most impressive, however, is the reminder of Gallagher’s singular talent for making mid-paced album tracks feel like stadium anthems. Investigate the regal “When I’m in Need” and reflective “Chinatown”—exquisite entries in the expanding, maturing Gallagher songbook. shake hands and get OASIS back togehter you MF . You guys will rule the world again like in the good old days . Liam is amazing, great vocals, great guitar. Awesome new album. Love all his music, this is another Gem..... Hope you tour USA so we can see a live show.